Check out 10 top facts about our universe! Want to know about space – the final frontier?! 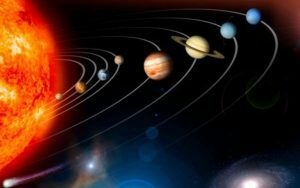 Then check out these 10 top facts about our solar system… and beyond! 1. There are more stars in the universe than grains of sand on all the beaches on Earth. That’s at least a billion trillion! 2. A black hole is created when big stars explode. Its gravitational force is so strong that nothing can escape from it – luckily the closest black hole is about 10,000 light-years from Earth. 3. When venturing into space, astronauts wear spacesuits which have to be warmed, cooled, pressurised and supplied with fresh air. This takes six hours for them to put on! Did you know that we have a FREE downloadable space facts primary resource? Great for teachers, homeschoolers and parents alike! 4. The universe has no centre and is constantly expanding (getting bigger) every second – making it impossible to reach the edge. 5. The Earth is about 4.5 billion years old – but that’s only a third of the age of the universe – which is 13.5 billion years old! 7. In 840AD Emperor Louis of Bavaria died of fright when experiencing an eclipse of the sun – this is when the moon moves between the Earth and the sun and a shadow falls over parts of the Earth. Did you know that we have a FREE downloadable Phases of the Moon primary resource? Great for teachers, homeschoolers and parents alike! 8. 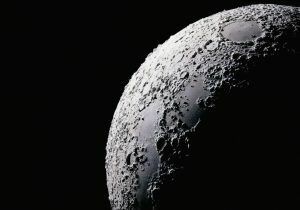 The moon is the reason why we have tides and waves on Earth. Along with the sun, it moves billions of tonnes of water each day. 9. A day on Mercury lasts longer than its year! Mercury moves around the sun faster than any other planet – making its year the equivalent of 88 Earth days. While a day on Mercury – the interval between one sunrise and the next – lasts 176 Earth days! 10. In 2006, Pluto was reclassified as a ‘dwarf planet’ after 76 years classified as the outermost planet in our solar system since its discovery in 1930. Enjoy learning about our incredible universe? Then check out even more super space facts! It's so amazing that Emperor Louis died from fright in the eclipse! He must have thought it was the end of the world. we should appreciate Earth because it won't be here forever! They are very good facts. this is a great website I am using it for homework . There is so cool facts on this web!! I want more cool facts about stars and planets!!! I love em, especially the first. Mercury is cool and weird The sun is very hot and bright The sun gives some heat to earth in 8 mins The Earth is old The sun is VERY old I am young (11 yrs) And I am a very, very, very, very, very, very, VERY small girl!!! LOL! This is a great website and if your child is wanting to learn but in a fun way this perfect.Never underestimate this website. Wha???? Did not know that, So Cool! Wow! this is a really good website. Wow this helped me with my homework It was awesome!!!!!!!!!!!!! this is such useful information! I think they are ... AMAZING, COOL and O U T R A G E O U S ones. Very good website helped in making presentation. I love the facts it helped me on my science home work! The universe is infinity(it is endless)! Very well known facts Might be handy You never know. This is pretty interesting I got to say my friends. These are some amazing facts about the universe. It is impossible to imagine just how vast the universe is. That was a epic!!!!!!!!!!!!!!!!!!!!!! i loved it. They’re out of this world, gang! Ready for a night time adventure? Then 3, 2, 1… Liftoff! 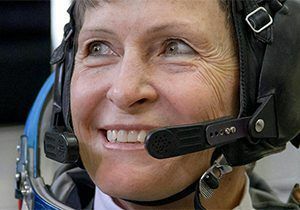 Female astronaut sets super space records! 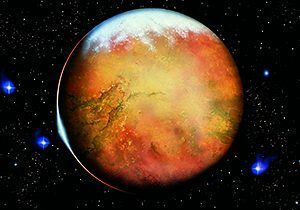 How much do you know about the Red Planet?